KOMPLETE AUDIO 6 now available in stores! Berlin, May 2nd, 2011 – Native Instruments today announced that KOMPLETE AUDIO 6 is now available in stores worldwide. 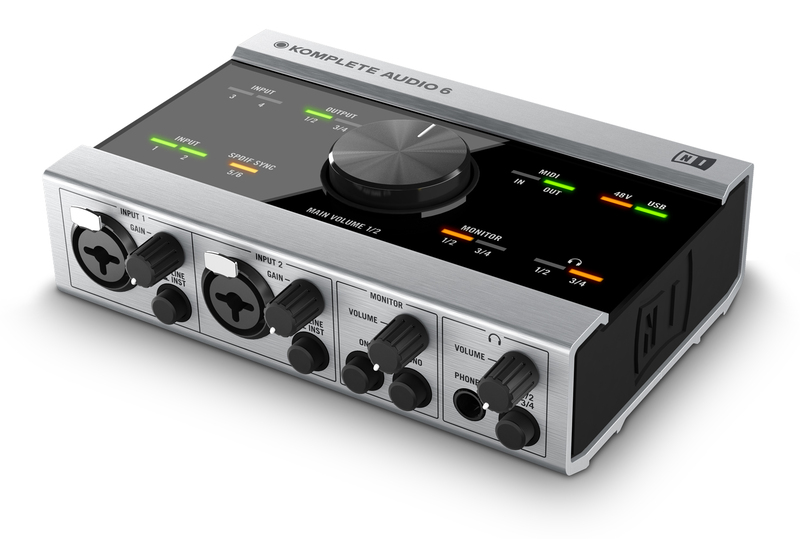 KOMPLETE AUDIO 6 is a high-performance six-channel audio interface for studio and live usage. As the successor to the acclaimed AUDIO KONTROL 1, it provides more connectivity, increased audio performance and a host of practical new features, complemented by a versatile software package for music production and DJing. Based on the latest generation of Native Instruments’ USB audio interface technology, the KOMPLETE AUDIO 6 addresses the typical needs of musicians and producers in a highly portable and affordable package. With four balanced analog inputs and outputs, complemented by a digital S/PDIF stereo I/O and an integrated MIDI interface, the unit can be used as the centerpiece for a wide range of setups. The software package includes the all-round instruments collection KOMPLETE ELEMENTS, the new entry-level DJ software TRAKTOR 2 LE, the Cubase 5 LE sequencer from Steinberg, and a $30/25 EUR voucher for the NI Online Shop. KOMPLETE AUDIO 6 is available for a suggested retail price of $339 / 299 EUR from authorized dealers and in the NI Online Shop.